Featuring a 10m tall Christmas tree, a giant chandelier and 100,000 lights this is one of the fancier displays of the season. While the official winter illuminations run until February 28th, the Baccarat Eternal Lights display (complete with Champagne Bar) will only continue until January 14th. There will be a Eurpoean-style Christmas market until December 25th from 11am until 8pm with festive food and drink. The Some no Komichi committee are going to provide English guided tours for those who are interested in Some no Komichi festival! 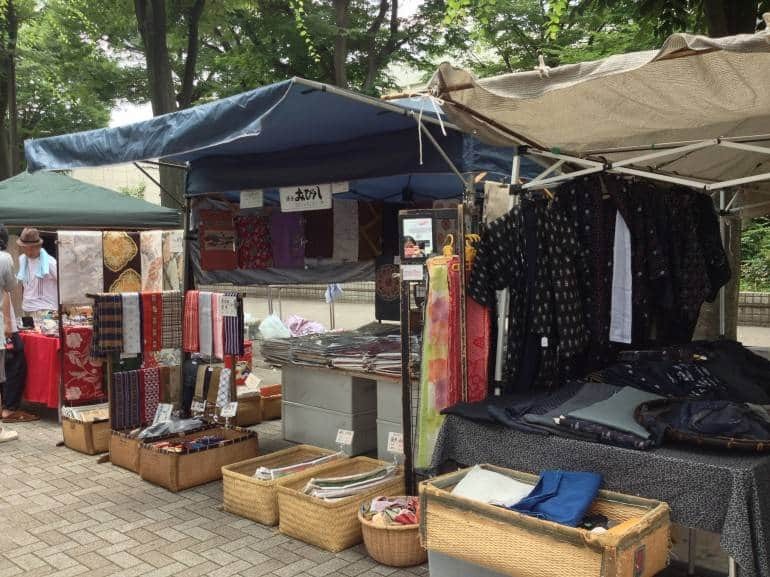 On the tours, you’ll enjoy a special event of “Some no Komichi” with English speaking guides, in which you can experience the River Gallery together, appreciate beautifully dyed noren curtains in the Street Gallery, and enjoy many other features in the Ochiai and Nakai area. You can also enjoy an actual dyeing experience at a workshop – available in the afternoon tour slot, costing ¥500. There are two tour times – from 8.55am – 10:30am and 1.25pm – 3pm.